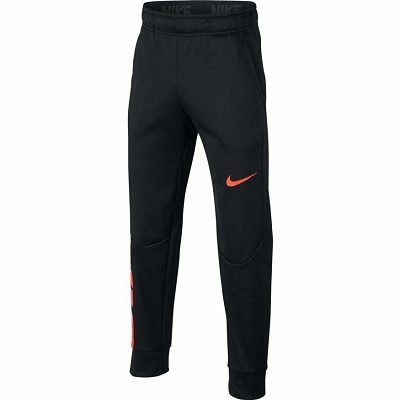 Boys’ Nike Therma Training Pants are made with Nike Therma fabric for enhanced warmth. Its design lines wrap the legs to give it a modern look, while the elastic waistband helps provide a comfortable fit ideal for any workout. Dri-FIT technology moves sweat away from your skin to help you stay dry and comfortable. Large side seam pockets offer convenient storage. “NIKE” graphic is printed at the back leg.